If you want to close out a project early, send your request and attached a completed closeout checklist, to earlycloseout@umich.edu. At the end of a project there are important considerations to make sure the project comes to an orderly close. The University has an obligation to sponsors to submit a final technical and financial report. Perhaps inventions or patents are necessary. The necessary closing procedures may vary, depending on the policies of the sponsoring agency and whether the support was in the form of a grant or contract. For financial closeouts, be sure to refer to the Sponsored Programs Closeout Checklist. A No-Cost Extension (NCTX) provides additional time beyond the award's closure date. Sometimes this time is needed to allow the principal investigator (PI) to finalize a project. If approved, the sponsor grants additional time to meet the milestones but provides no additional funding. These are handled through the Post-Award Change Request. Purchases require 90-day advance approval. Please see the Post-Award Change Form. The Finance-Sponsored Programs Reporting area is responsible for the financial reporting portion of project close-out. They prepare the Uniform Guidance monitored costs (formerly A-21) expenditure review and any financial reports required by the sponsor, including the project closeout reports. They process the financial status report (FSR) in accordance with the Uniform Guidance (2 CFR 200) (formerly OMB Circular A-110) (particularly Section 200.327). These guidelines set forth detailed requirements with respect to the complete and timely submission of financial reports and other such closeout procedures for federal grants and contracts. Reporting requirements are important, and failure to adhere to these reporting requirements can jeopardize new awards campus-wide even if in connection with a specific grant or contract, or may result in a federal agency withholding or suspending payments for costs incurred by the University on other projects funded by the agency. Questions relating to closeouts can be directed to your Finance - Sponsored Programs Customer Service Representative or a Supervisor from the Reporting/Closeout group within Sponsored Programs. Careful closeouts are also important to help ensure U-M's compliance and internal control of expenditures charged to federal grants and contracts. Each year at U-M an annual audit is performed (in accordance with the Uniform Guidance and former OMB Circular A-133). As with any recipient of federal funding, U-M is required to demonstrate compliance and financial internal control audit of expenditures charged to federal grants and contracts. (For non-federal projects, see external audit cost advisory for non-federal sponsors.) External auditors determine if the federally sponsored programs were administered in accordance with the applicable laws and regulations. Finance-Sponsored Programs lists the latest A-133 Audit reports. Questions relating to the audit can be directed to Bryan Van Sickle, Assistant Financial Manager, at (734) 647-1946 or by e-mail to bvsickle@umich.edu. Depending on the sponsor and their requirements for closeout, ORSP will collect the required reports and close the Award to the project when we have received copies of all the submitted reports. 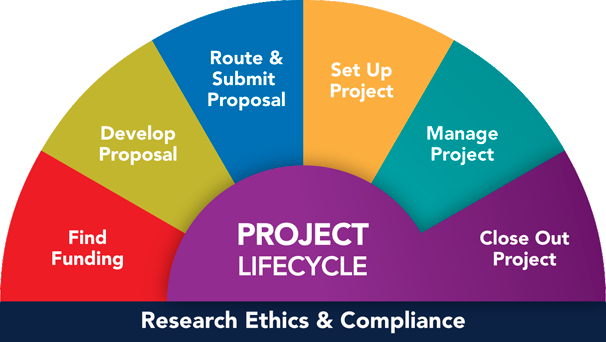 The project director (PI) is responsible for timely submission of the final technical report. Specific sponsor requirements for the technical report are usually defined in the award package. A copy of the cover letter transmitting the technical report to the sponsor should be sent to your ORSP Project Representative. Some sponsors require that final reports be signed by an Authorizing Official of the University. Send these reports to ORSP to obtain this signature, and ORSP will send the required materials to the sponsor. In addition to the technical and financial reports, most sponsors require the University to report on any inventions, discoveries, or other novel commercial developments that were funded by the project. Patent and invention questions (or those related to protecting and developing intellectual properties that come up as part of the grant closeout process) should be directed to the Office of TechTransfer patent administrator (UMPatentAdmin@umich.edu). Many federal agencies also require a report on property and equipment disposition. ORSP and other U-M offices have responsibility for submission of these reports. The U-M Standard Practice 520.01 spells out procedures for the disposition of equipment at the end of a project or when it is being transferred to another institution. Within 90 days of the project closing date, the project team will be contacted to provide the necessary information. The variety of sponsor requirements makes it difficult to initiate a single closing form or procedure. In many cases, the closing can be completed with a brief phone call. However, it may be necessary for ORSP or other U-M offices to send out a notice that will require a written response. It is in the best interest of U-M to act promptly in completing the closing process on project accounts because it saves money and protects the good name of the institution. Most federal agencies withhold final payment on projects until all required documents are delivered. The Research Administration Advisory Council (RAAC) Process Subcommittee developed a financial Closeout Guide and Checklists. Project Closeout Guide - Coupled with the "Areas to Address" this detailed guide helps more specifically explain who you should work with addressing the areas. It includes helpful website addresses and phone numbers. Areas to Address - This section offers the types of actions and steps you need to take to prepare (e.g., what to reconcile and generally who to consult). Closeout Timeline - This section contains a timeline, working backward from the project closeout date, to ensure you address the actions at the time, and in the allowance of the time, needed. allows the project team to be prepared and finalizing all issues (e.g. moving salaries, including all purchases, making corrections, etc.) right at the time when Sponsored Programs start of the financial report. The Finance - Sponsored Programs website is the primary home for this document: http://www.finance.umich.edu/programs/sppgcc. NIH Transition of Awards in Payment Management System Beginning in October 2015, NIH began transitioning awards to a new account in the Payment Management System. For those awards affected, here is the Quick Reference Guide for essentially closing out those project grants (P/Gs) in order to transition them. Finance-Sponsored Programs Closeout Checklist A helpful Project/Grant Closeout Checklist for financial charges related to the P/G. Your first point-of-contact should be your department research administrator (RA). You can find out how that is by checking the Blue Pages. If you have a question during the standard financial closeout, contact a Sponsored Programs Reporting/Closeout Supervisor. 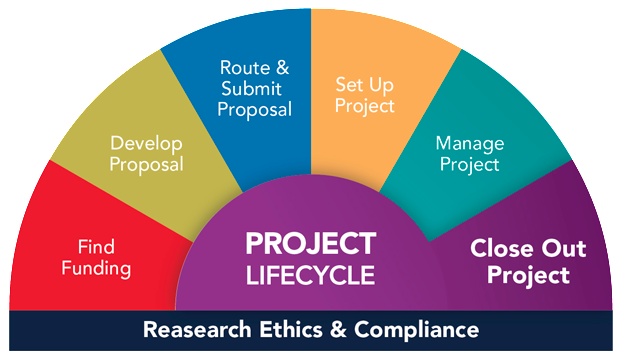 Project, agreement, contractual questions can go to your ORSP Project Representative. Patent and invention related questions that come up as part of the grant closeout process should be directed to the Office of TechTransfer patent administrator (umpatentadmin@umich.edu).